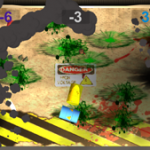 Zombie Bomb Splode Now Available on the iOS App Store, Windows 10 Store for Windows 10 and Itch for Windows and Mac OS. Strategy/Puzzle/Variety aimed at casual gamers. 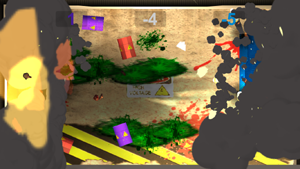 Michael Cozzolino DBA Big Monk Games releases Zombie Bomb Splode. The first multi-platform game from Big Monk Games. 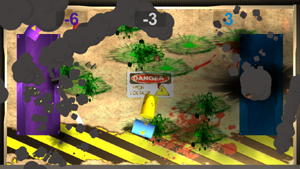 Zombie Bomb Splode is available on the iOS App Store and for Windows 10 on the Windows 10 Store and Windows and Mac OS on the Itch Store. You are in charge of disposing of the Zombie Bombs that the military drops into the containment unit. You must have quick reflexes, a sharp mind, and time management skills. The zombies are strapped with bombs and need to go into the correct containment vessel or they will destroy the facility and render it useless. It;s up to you to dispose of as many zombies as possible so life can return to normal. 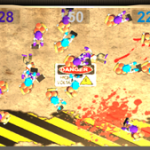 This mini game has the player dragging around the purple Zombie Bombs in the purple containment vessel and the blue Zombie Bombs in the blue containment vessel with his/her mouse(PC) or finger(iOS). 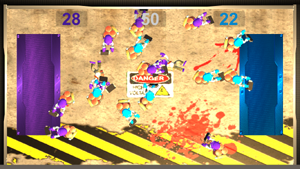 Many Zombie Bombs appear in this mini game and the more Zombie Bombs put in the right containment vessel, the harder the mini game gets with more Zombie Bombs coming out more quickly. 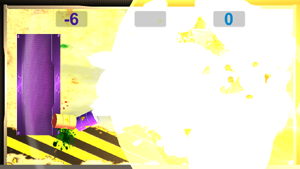 If the player puts a purple colored Zombie Bomb in the blue containment vessel or a blue Zombie Bomb into the purple containment vessel, the other Zombie Bombs of the same color explode, and reduces your score by the bombs of that color on screen, it is an automatic explosion and Game Over. 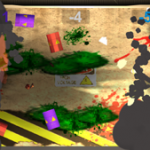 Zombie Bomb Splode is a single player casual game that ramps up to a fast frenzy of sorting zombies before they explode. Total zombie saves of all time are saved to the device as well as the top 5 scores earned per play. Players can enter their own name before playing in order to differentiate high scores between players on the device. OS – Mac OS El Capitan or higher. Windows 7 or higher. For more information visit our website. 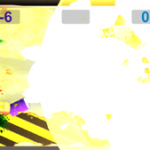 http://www.bigmonkgames.com/zombie-bomb-splode/ or follow us on Facebook or Twitter. Legitimate Press may request promo codes to play and review the game through our press email or our website contact page. We are an Indie Game Developer from Albany NY area using the Torque Game Engines created by GarageGames as well as Unity Game Engine. We currently are working on PC, iPad and iPhone devices. Game releases include Cat Games, Cat Games 3D for Cats and Kittens, Cat Games String Toys, TNT Fred and Tribal Fruit.